As we near the start of IPM 2017 on Feb. 1st, submissions are arriving and I’m getting excited about presenting them to our readers. I was thinking about communication networks, social networks and neural networks. While looking for images of neural-network maps, I ended up with a bit of a headache from trying to understand what is and isn’t understood about how these cells function in the brain. It turns out there are hundreds of different types of neuronal network maps. I finally settled on one that reminded me of a Gustav Klimt painting – it’s from the sound-processing area of a mouse brain. The number of neurons in the human brain is enormous, estimates vary from 86 to 100 billion, but the truly fascinating thing is that each person has an individual ‘neural map’ that develops over time, formed and annotated by personal experience and varied input. One of the many jobs these networks do from the very beginning is process language – expanding our ability to express ourselves and to understand one another. One of the tools we use to achieve this result is the word; but words must be set within a structure to be understood. Some languages are now unreadable – such as those of the ancient Indus Valley civilizations: the words and their supporting structure are there to be read but, frustratingly, we can no longer decode them. As I mentioned in my previous post, others, such as the Sumerian and Akkadian of the Gilgamesh epic, are thankfully still communicating across the millennia despite the challenges of decoding them. Submissions are still open, so if you’re a poet please send your work to be considered. If you’re a reader – get ready to illuminate with your gaze the upcoming 28 poems and transform them into the splendid ‘somethings’ they were meant to be. ~ by bonniemcclellan on January 25, 2017. The film “Arrival” had some interesting concepts about language in it. The alien’s written language conveyed meaning but not sound, for example. I enjoyed it. Thanks for your comment! Sound like an interesting film – it’s interesting how in our modern world, writing seems to have ‘divorced’ language from sound in some cases. What did I miss? What poems are you accepting, and when is a deadline? Sorry I was out of the loop. Hi Helen, must be a glitch in the e-mail sign-up system on wordpress, my husband wasn’t getting the e-mails for the posts either, you may need to re-subscribe. I’d be happy to read you poems, the theme is “the power of language: neural networks” so things having to do with language and how it impacts life, or images that leave a lingering and even enigmatic impression, or communicating across time and space to future or past generations. I look forward to hearing from you! 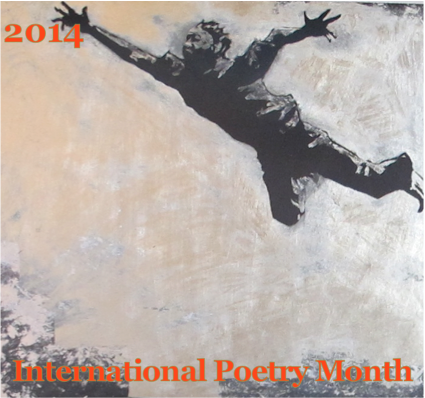 I’m very excited about ‘experiencing’ this years collection for Poetry Month. Please let me know if you want the verbal recordings of our poems sent to you? I don’t remember recording more than once before, but I will send you something if you’d like. Thank you for the incredible opportunity to share some of my psychological landscapes, it has been an invaluable therapy to spew thoughts to cleanse or understand a lot of personal adventures. I appreciate all of your hard work kid, and Xarxe and I are very much looking forward to your upcoming fireworks!